Speedo’s Mega Vertical Lift-up Door System is specifically engineered for use as a fabric door enclosure for large structures such as chambers and hangers. 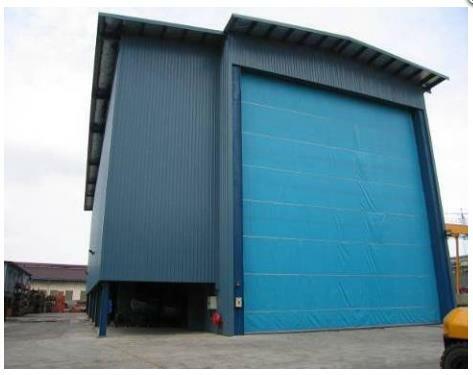 These extremely large openings call for doors which are generally not operated very frequently, thus the design of the vertical lift door system is specially constructed for large sized openings for chambers. infiltration, while improving the working environment. 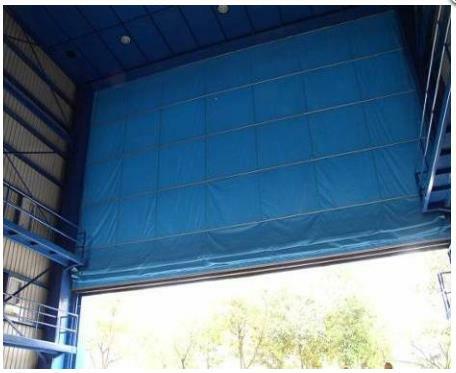 It is also ideal as a replacement of large steel or roller doors which take up plenty of surrounding space for operation, as conventional steel roller or sliding doors are not only heavy and costly but also require high maintenance.